Richard “Rich” Jones is an experienced strategist, non-profit executive, and creative catalyst with a passion for program and policy development, human resources, building partnerships and exploring systems innovation to drive social impact across multiple domains including mental health, substance abuse, co-occurring, & intellectual disabilities. He is a Senior Healthcare/non-profit Director with over 16 year’s management experience and has provided leadership and administration to start ... See More up non-profit organizations nationally and regionally. As the Executive Director of Faces And Voices Of Recovery (FAVOR) Greenville, an innovative and unique program that aggressively attacks the problem of addiction and other behavioral health issues. Rich actively looks for opportunities to have on-going and transparent conversations around mental health, substance abuse, co-occurring, & intellectual disabilities issues, situations, and challenges facing our community. He earned is Master of Arts in Sociology with a concentration in Addiction Studies , an MBA with a concentration in Healthcare Management and holds certifications including Certified Addiction Counselor, Certified Clinical Supervisor, Certified Co-Occurring Disorder Professional, DOT Certified Substance Abuse Professional, Licensed Clinical Addiction Specialist, Certified Employee Assistance Professional, and Certified EMDR Trauma Therapist. 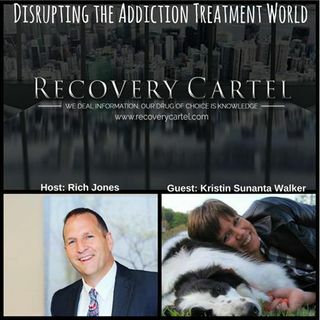 Rich joins MHNR Network CEO, Kristin Sunanta Walker, to discuss how he will be using his podcast to bring about postivite change in the addiction recovery industry.